Thank God Almighty, 2018 will be over soon and 2019 will be coming soon. The Masters and Doctoral Program of the Faculty of Economics and Business, Universitas Gadjah Mada (MD FEB UGM) closes activities in 2018 with the Final Meeting of 2018 which is held on December 27, 2018. The event held in the Lippo MD Room of FEB UGM was attended by all managers and employees. In the description presented, Prof. Jogiyanto Hartono, Ph.D. again explained the mission and vision of the institution that needed to be understood as the basis and direction of program activities. 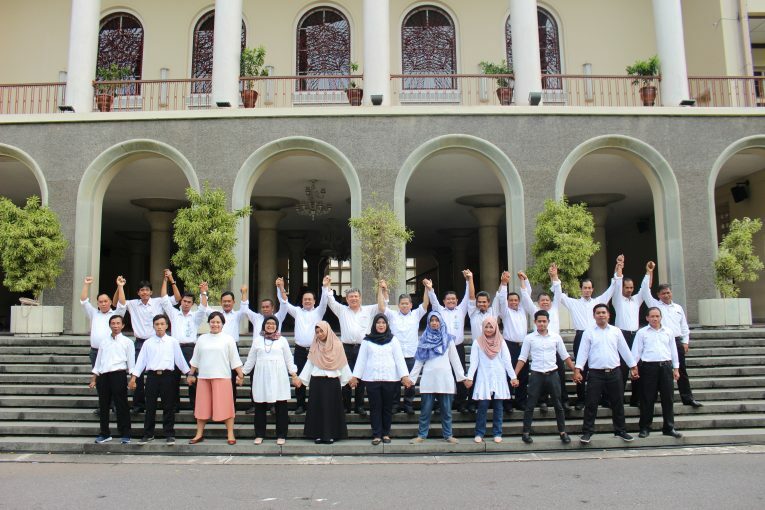 The internalization of the reasons for the existence and direction of the development of FEB UGM and MD FEB UGM is a binder of the joint steps in 2019. Nurul Indarti, Ph.D. explain about the various activities that await the program in 2019, including BAN-PT accreditation, AACSB accreditation, Doctoral Colloquium and Seminar, as well as various internationalization agendas. Thorough preparation and work commitment is the basis for sustained success in 2019. The prayer meeting led by Kuswanto was delivered to thank for the smooth running of activities in 2018 and to request hope for activities in 2019. The event was closed with a shared spirit photo session. The MD Program of FEB UGM would like to thank the support of teachers, employees and various parties in implementing various institutional activities in 2018. Let’s approach 2019 with the spirit of mutual progress for our nation, Indonesia. Happy New Year 2019. Keep it up!